I've been working on orders and trying to figure out how to work with a very active toddler in tow. Some days are more successful than others. 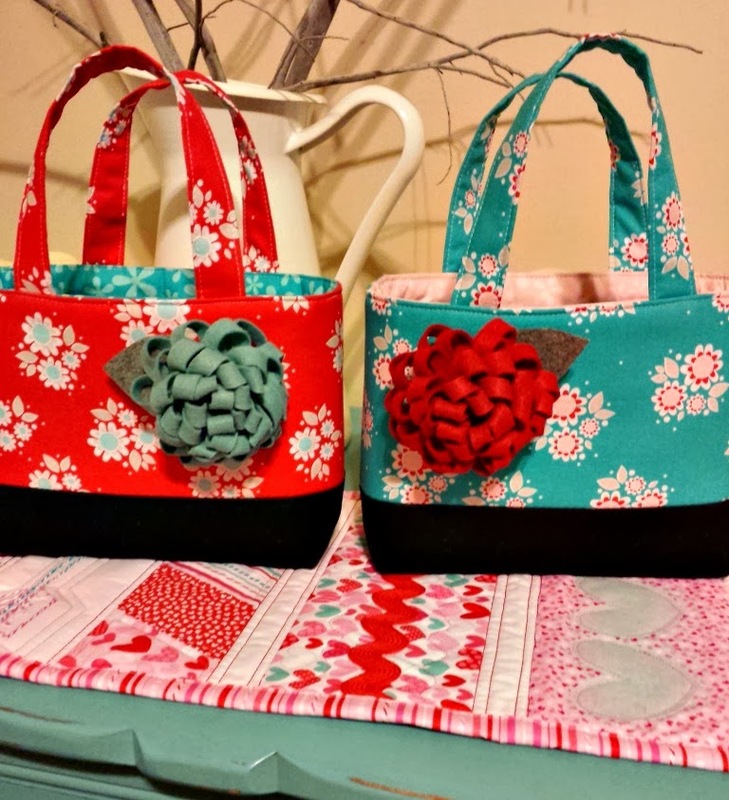 I was asked to make these totes for a darling set of twins. This fabric from The Quilted Fish is called Twice As Nice and I just love it. The turquoise is so rich. I'm working on a table runner out of it. Hopefully I'll have it done before Valentines Day. 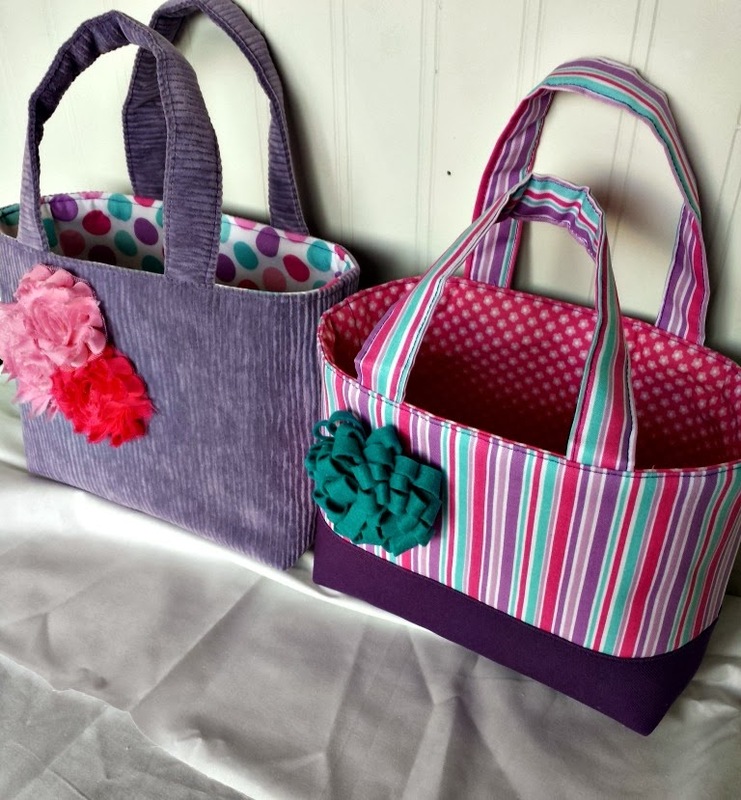 I was asked to make a Pink and Purple tote for another darling girl in my neighborhood. Whenever I am asked something like that, I try to give them options. 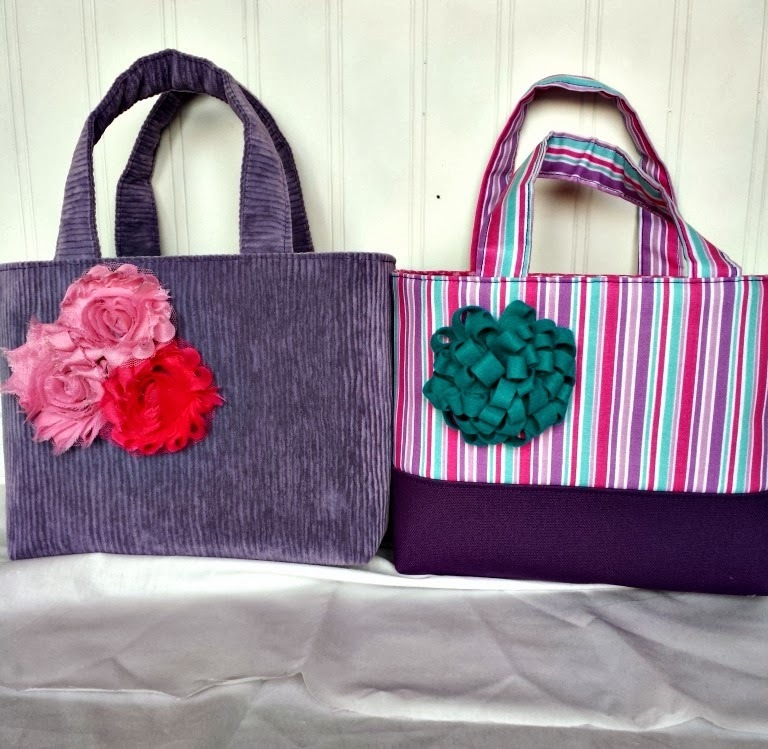 So, I made two purple and pink totes. I'm trying desperately to get some inventory built up so I can finally open up my online shop. I'll keep you posted as things progress. It might be a while. Are you selling the totes??? I would love one!